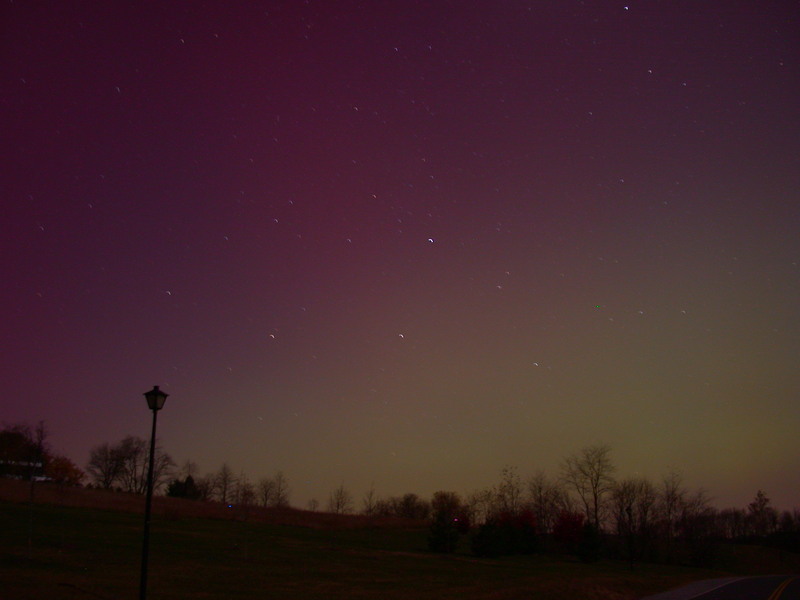 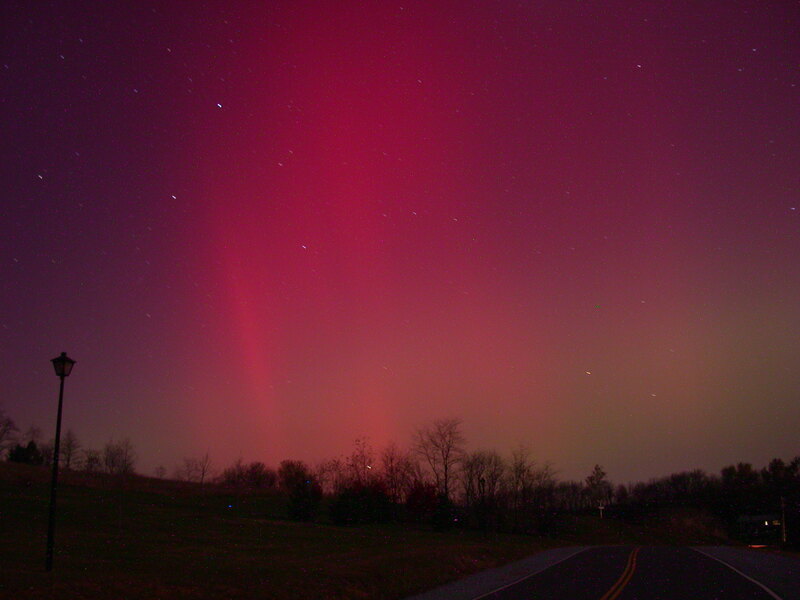 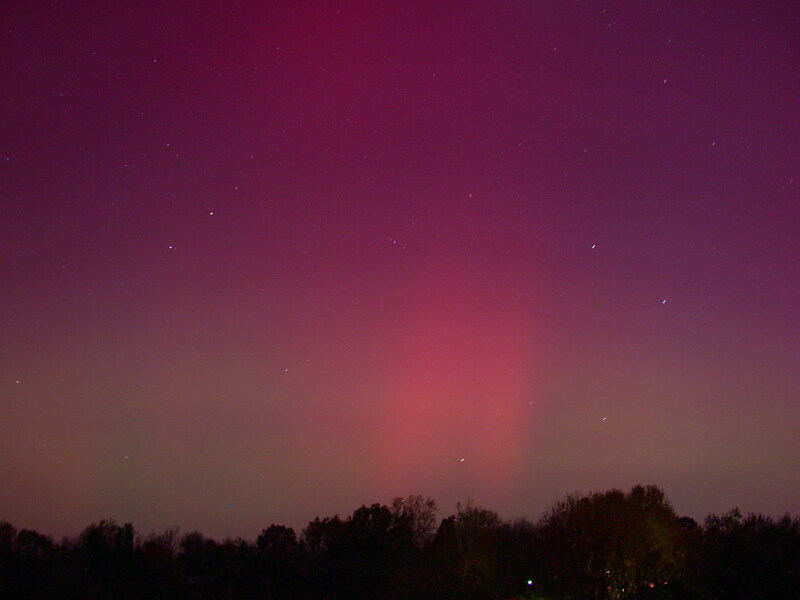 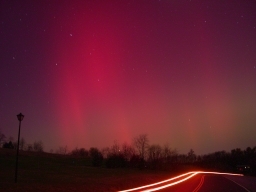 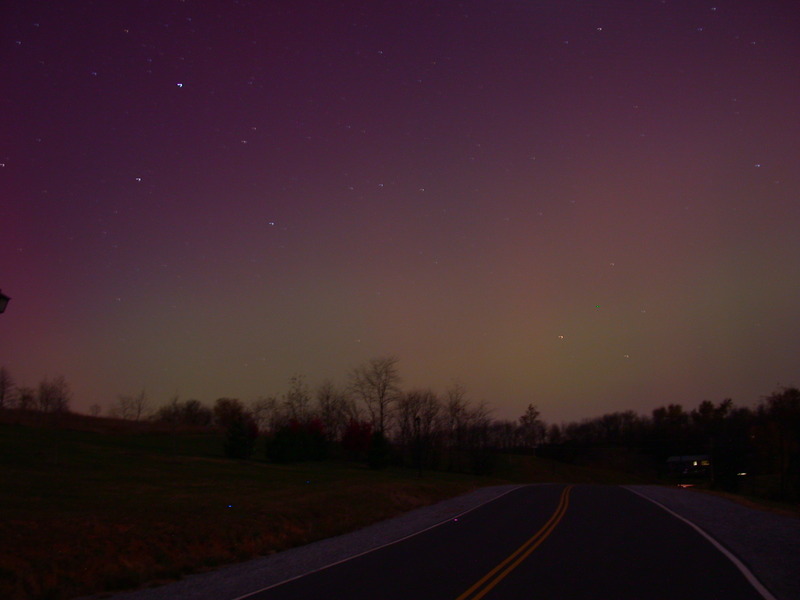 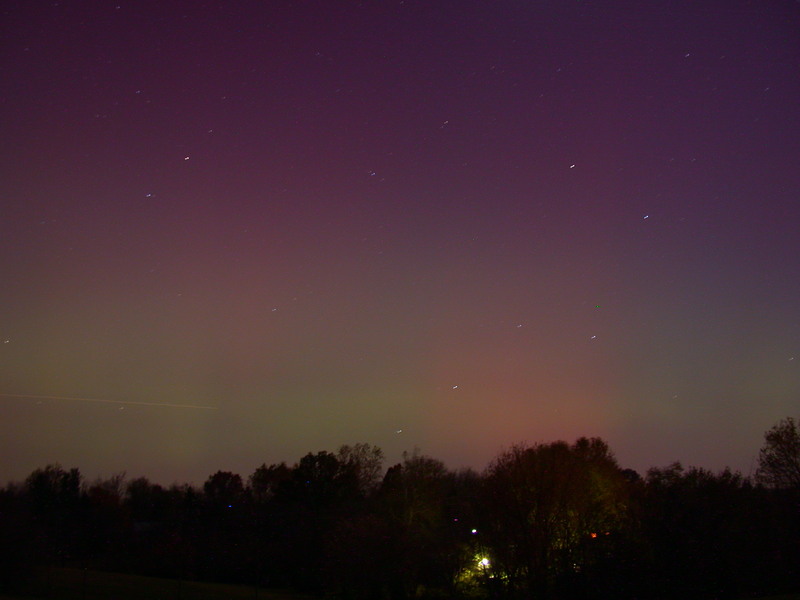 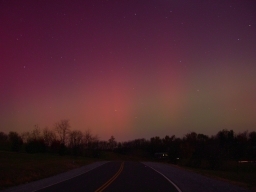 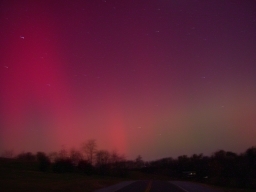 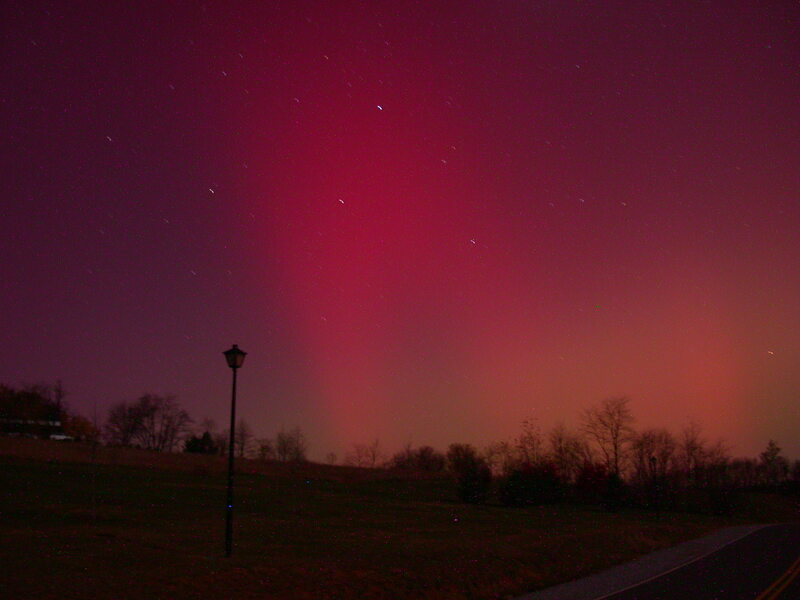 On November 5, 2001, at around 11:45 PM, my wife and I heard that there was a good chance of aurora. 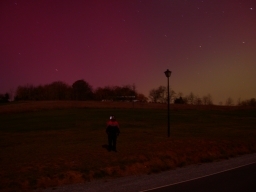 We had gone out to look for them several times over the past few months with no success. This time, however, there was an amazing show! 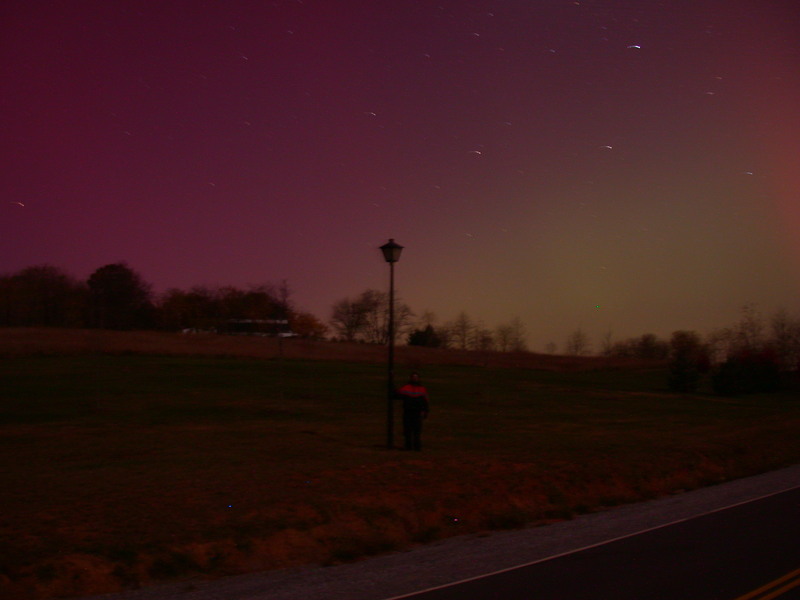 We headed out to a local park in Purcellville, Virginia, about 50 miles West of Washington, D.C. 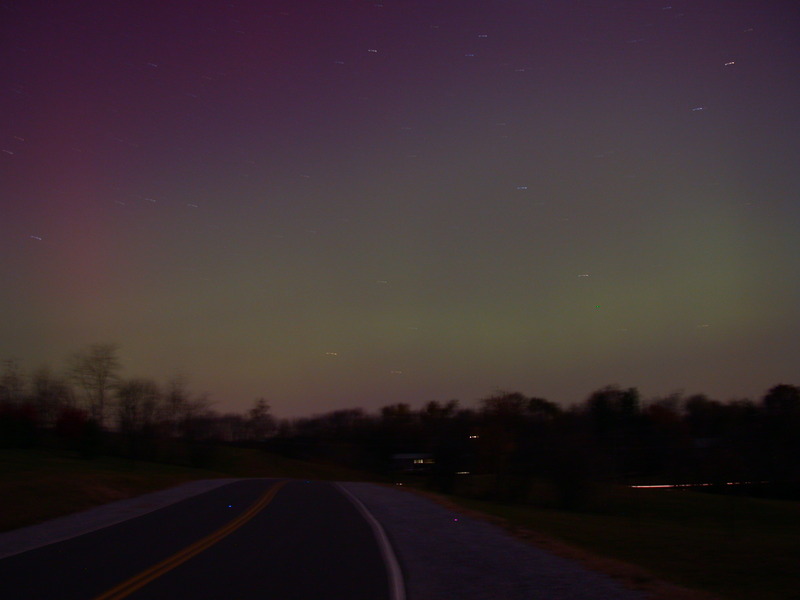 I attempted to capture some of the magic with my Nikon CoolPix 995. Most of the exposures are 1 minute long, with the camera held on a tripod. 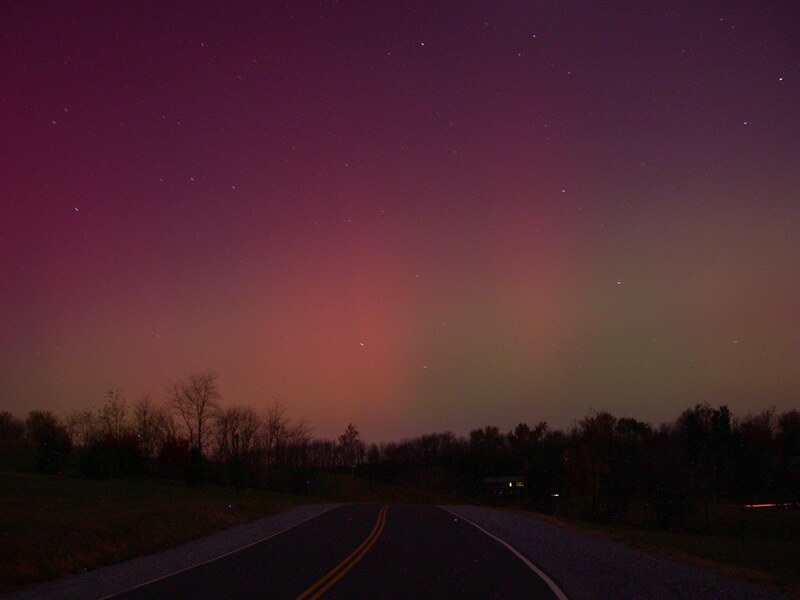 All pictures are (C)2001 Allon Stern (KE4FYL). 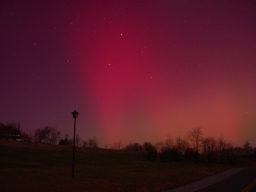 You might also want to check out my dad's webpage on the polar aurora. Aurora was visible up to around 20 degrees from the horizon! Another shot to the north. Time to go home. My fingers are frozen to the camera.